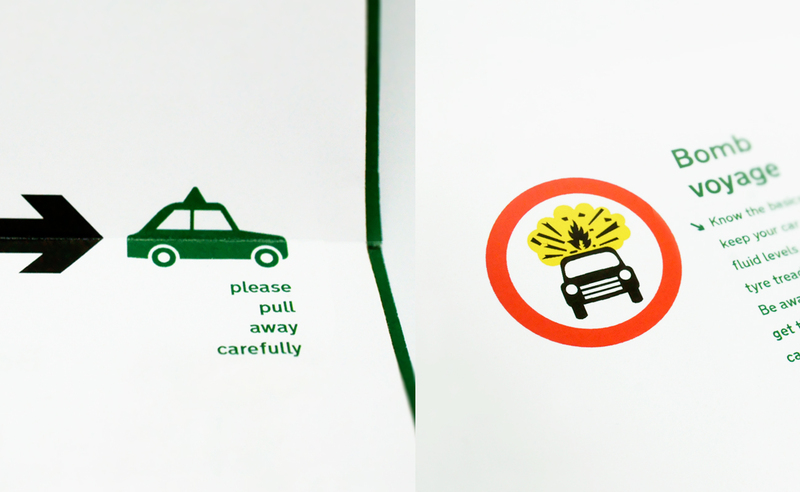 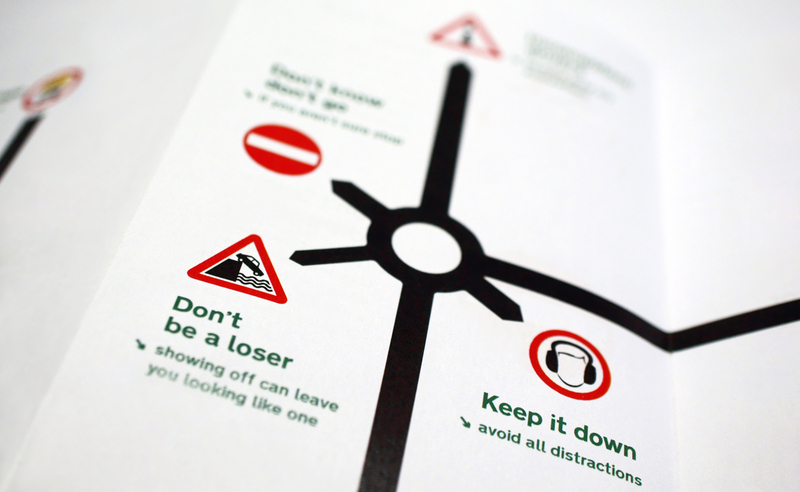 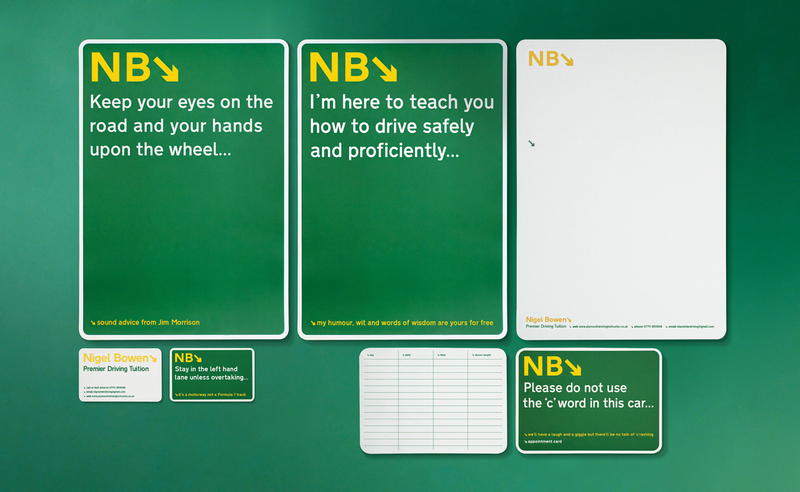 Driving schools are not known for their clever and well considered branding, let alone one that can successfully combine a playful take on the rules of the road and the design icon that is the British road signs. 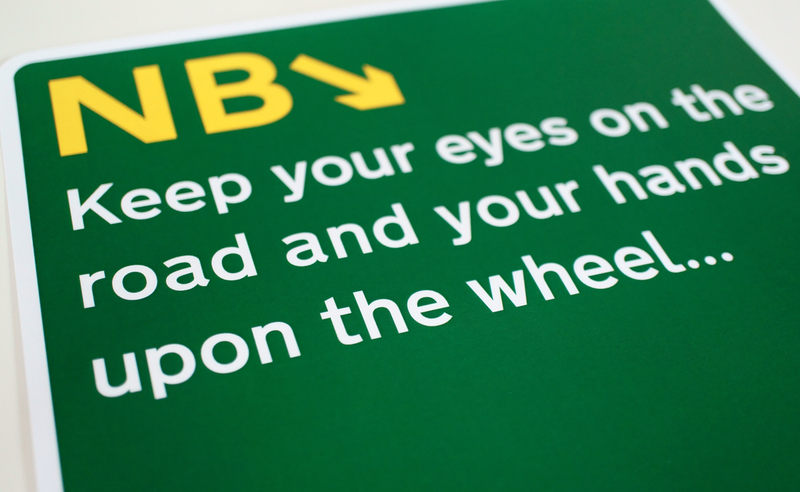 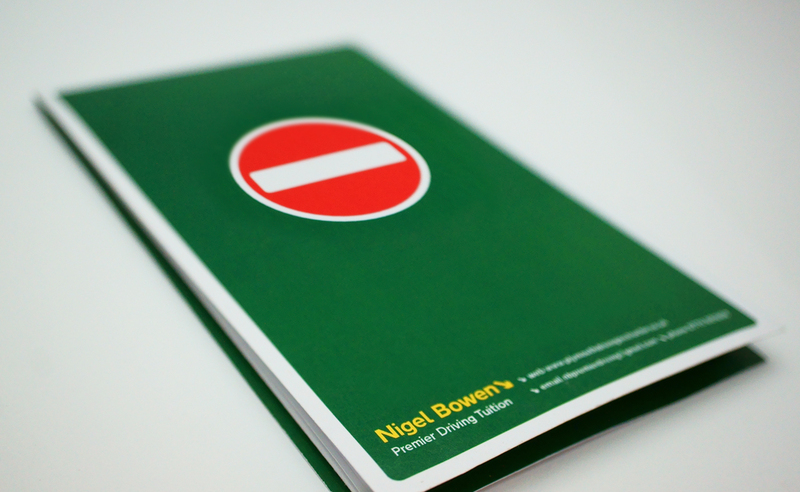 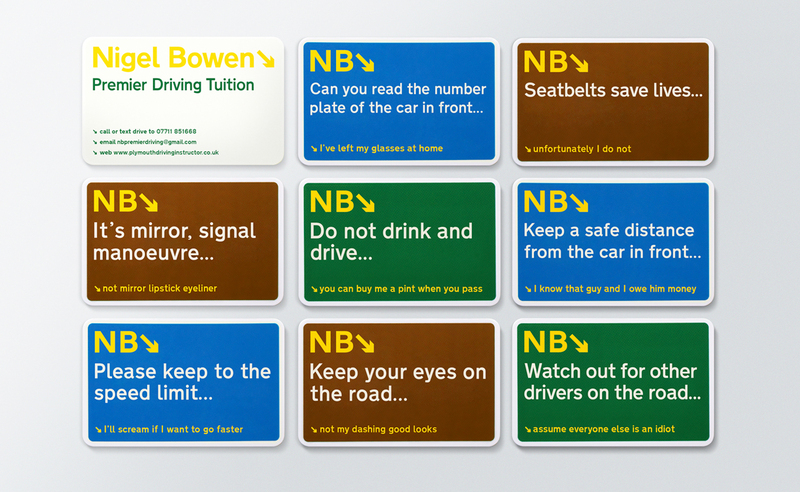 This simple idea frames all of Nigel’s genuine one-liners and words of wisdom together with a visual style rooted in the language of motorway and road signage. 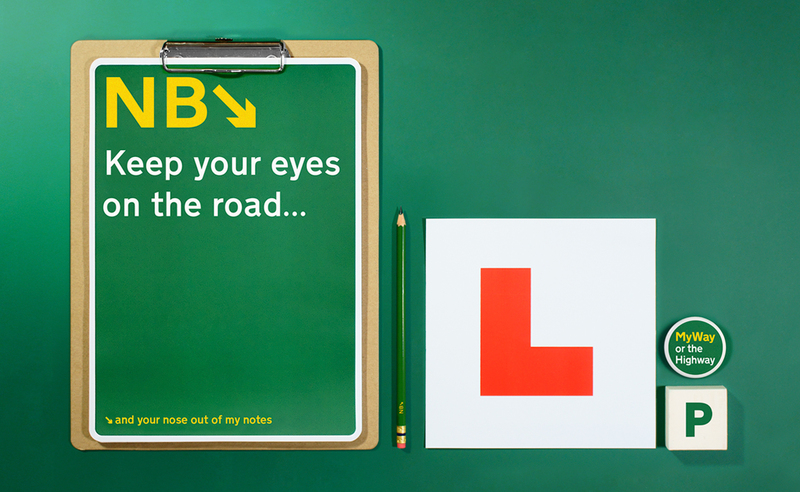 This reflects its informative message and positions his service as ‘the route’ to passing your test. 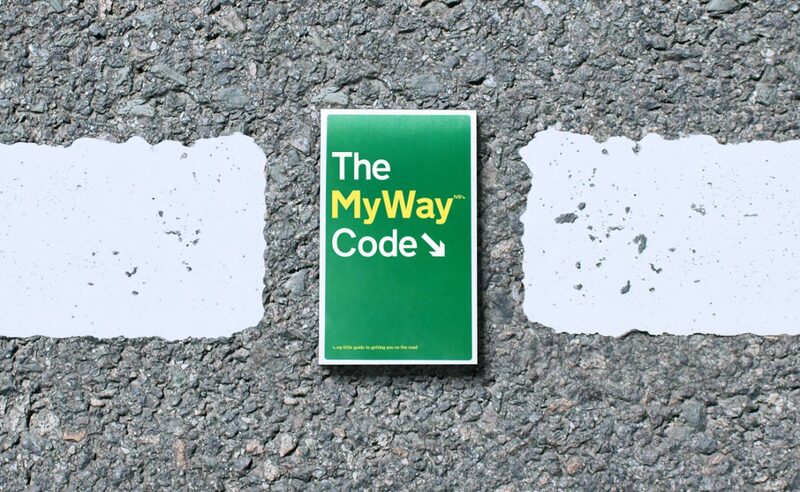 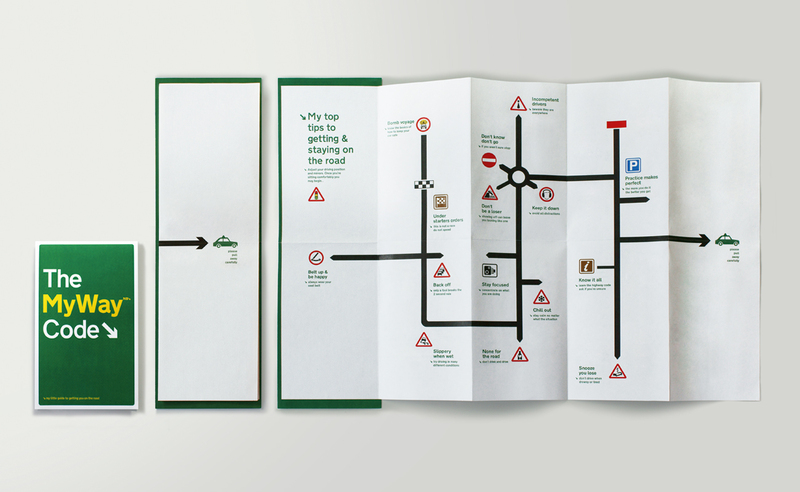 The ‘My Way’ Code leaflet is it’s own guide to the rules of the road as well as being a more universal expression of the positioning and personal approach to learning to drive. 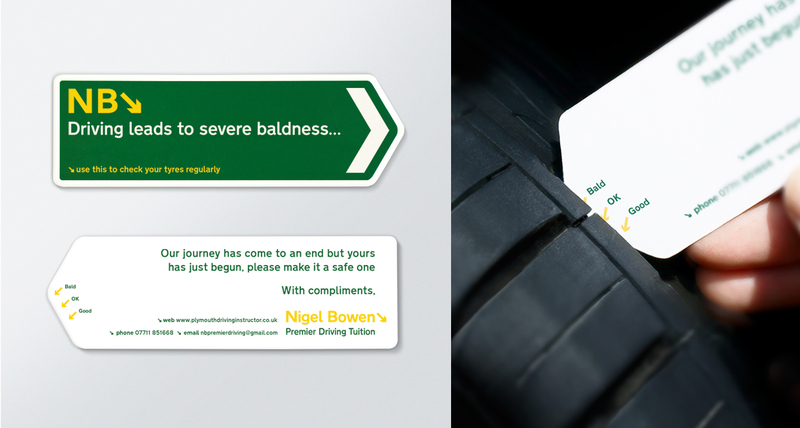 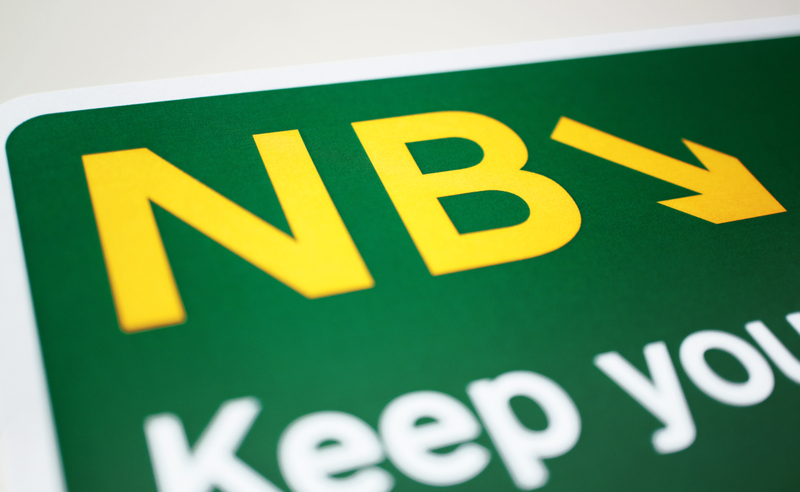 Bold and effective, this branding really elevates an industry which is often seen as a annoyance among motorists.